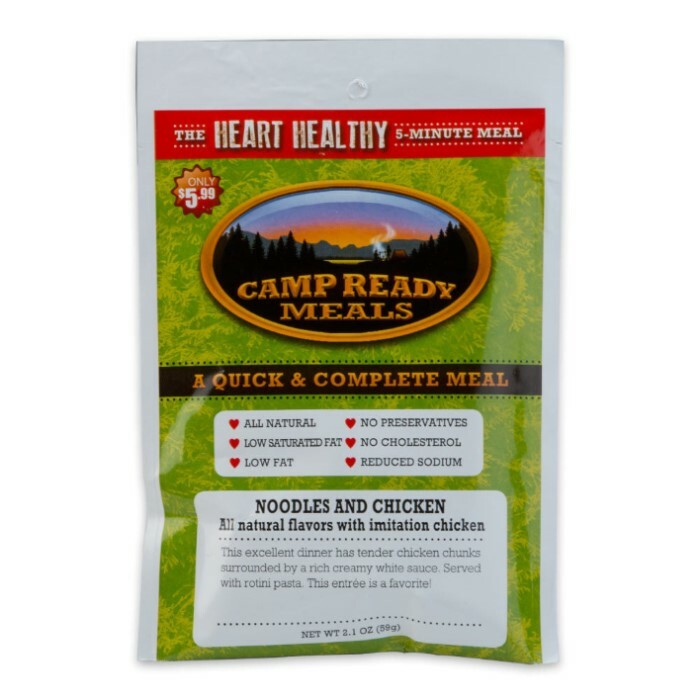 Camp Ready Meals Noodles And Chicken | BUDK.com - Knives & Swords At The Lowest Prices! This quick and easy meal will have you fed and satisfied in no time! Enjoy the taste of chicken strips with peas, carrots and parsley in a tasty white sauce in this chicken ala king and rice. 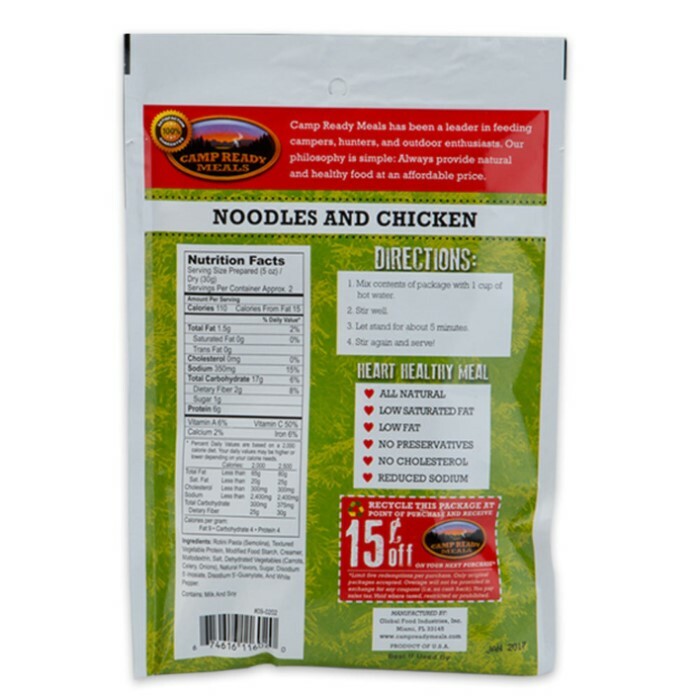 Just add hot water and stir and dinner is served!